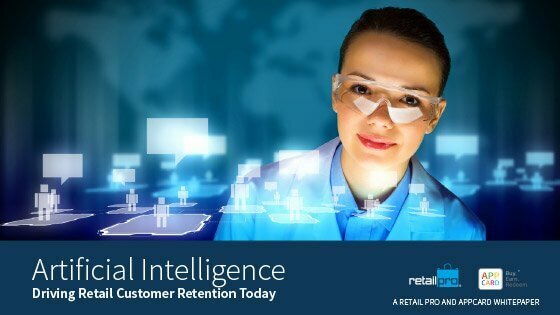 The next generation of customer analytics has finally arrived. AppCard is more than just a loyalty program. It's a robust and easy-to-manage customer retention platform that delivers actionable marketing campaigns tailored to your company and customers. Built atop an advanced AI called "Pinky" that has been developed specifically for brick & mortar retailers and grocery stores, AppCard uses artificial intelligence to gain useful insights into your customers every time they shop. Smart data capture and machine learning empower you to deliver the right message to the right customer at the right time. True influence requires a personal touch. Say hello to Pinky. Our advanced proprietary AI was so powerful and intuitive, we needed to give it a name. And so, Pinky was born. Pinky has the ability to identify, classify, and learn more about your customers in order to suggest tailored campaigns and promotions. AppCard captures and consolidates item-level purchase data with customer identities and tosses it to Pinky to provide you with complete picture of your clientele. From there, Pinky helps you prompt behaviors that integrate with your customers’ actual spending habits, and generate promotions and rewards programs that deliver value. Pinky’s powerful analytics plus AppCard’s expert marketing services help you move away from easily dismissed blanket marketing to deliver higher ROI on your customer retention programs. Make smarter business decisions based on actual data in real time. Pinky closely examines each customer’s behavior to predict their next move. Maintain a fast transaction pace and seamless customer experience in which customers enroll by simply providing their mobile phone number during checkout. Create effective customer retention programs that demonstrate your appreciation and reward your customers. Connect with your customers by serving up the promotions they want and are likely to use via email, text message and push notifications. Capture loyalty and non-loyalty transactions across all locations and lanes. Generate real-time reports that reveal sweeping trends based on individual customer profiles. AppCard easily connects to any POS without requiring complicated software integration.